Discussion in 'Southeast, The Lair of the Dragon - The Blue Ridge' started by kdscoates, Oct 13, 2008. Cool dude! I've been waiting for you to start this. I've got lists in my head already!!! go get this one and get it going-- i have got alot of stuff up my sleeve but gonna get the easy ones to start it!! i hope to see some new places!!! Damnit I rode right by there on the way back from NCN. Cool deal, looks like this game is allowed to get dirty! When we were kids we used to play Tunnel Tag. You had to unfreeze people by crawling under their legs. THAT was dirty. Coates' location is almost PAVEMENT. You fuckers with days off better go get this one today or I'll beat you to it tonight. And mine won't be as easy! Damn we almost crossed paths. I took a left on 28 because it was getting late, going to Acworth around the same time. Coates you better be glad I don't take pics. You are going to have to beat me to this one. I am going to take the younger dirt squirt to shoot his rifle after work and then to the Dillard House for dinner. I think I will be to fat to ride that far. Ummmm, would this be the place??? 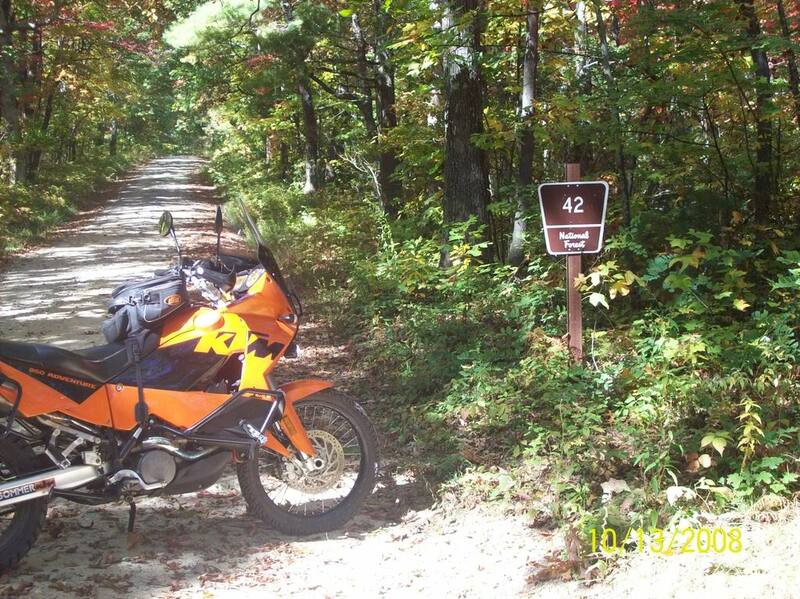 I really screwed up tho...I turned to the left leg looking for the sign, not realizing NF42 went both ways at NF77...rode all the way to the dead end into Doublehead Gap road, turned around and came back and realized the error of my ways...oh well! Not a fucker with a day off, just a fucker that works at home and bailed out early...payback for all those out of town weekends! thats the place!!! it was easy !!! now you got 48 hrs to post the next one so lets see what you got??? Let's see that next tag! This looks like fun! Enjoy the whoops on the way out!!! Man, i was just there. may go back in the morning. Oh, oh, I know where that is. Snuck out early and got it. I never ride there because the horse folks always yell at me...and it happened again this time. Funny thing is the lady was past the sign that said "No Horses or Bicycles Beyond theis Point"....beeyatch . Anyway..the whoops were a total blast on the way out. I didn't rememeber them being that good! Thanks!! OK....to keep it moving along, I'll do another easy one. A nice rocky climb will get you to a clearing where this sign commemorates 1968 plane crash that killed 4 people.